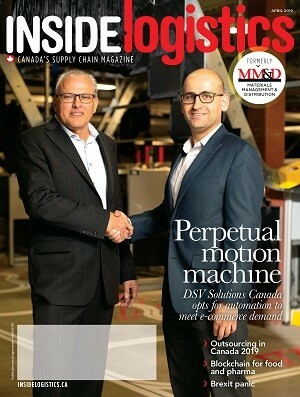 MISSISSAUGA – Walmart Canada has selected FourKites, a supply chain visibility and predictive analytics platform, to provide real-time location tracking and predictive shipment arrival times across its Canadian operations, spanning more than 400 stores and more than a dozen distribution centres. Walmart Canada will also use FourKites Insights, a supply chain analysis product to optimize operations. “Walmart Canada’s partnership with FourKites reflects our deep commitment to delivering an outstanding customer experience,” said John Bayliss, the retailer’s senior vice president, logistics & supply chain. Leveraging FourKites’ network of GPS-connected assets, Walmart Canada will track over-the-road and rail shipments of freight into its distribution centres, enabling facility managers to optimize staffing levels and assignments and minimize truck waiting times. At store-level, Walmart Canada managers will use FourKites’ mobile app to get real-time updates on load delivery to more efficiently determine when employees should plan to unload and stock product. Walmart Canada will use FourKites Insights, an advanced supply chain analytics product, to spot patterns and optimization opportunities across its operations, analyzing metrics including detention time and cost by facility, on-time performance by carrier, metrics by lane, and by supplier. “We are proud to be partnering with Walmart Canada to enhance the end-customer experience through predictive shipment tracking and insights,” said Mathew Elenjickal, FourKites’ founder and CEO.